Nanjing Bosheng Refrigeration Equipment Co., Ltd.
WDE Series industrial water chiller units with double screw compressors(Water cooled) BSL-***WDE Series Feature Superior performance Semi-hermetic screw compressor in-built motor avoid seal leakage Two or a plurality of compressor controlled by PLC program, which can balance the load and prolong the service life of the unit. 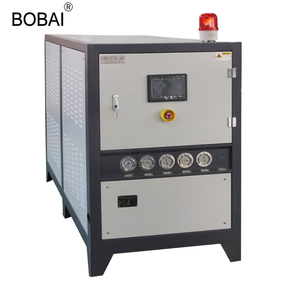 Two or a plurality of compressor using multi refrigeration circuit, when a circuit be repaired or in maintenance, the remaining loop can still be operated normally Compressor adopt duplex winding reduced-voltage starting, to avoid the impact to the electric network Easy Installation Compact structure, small occupation area. The machine has been tested strictly and timing operation completed to reach the using state Extremely vibration and don't need the vibration isolation equipment usually. Shanghai Kuenbor Refrigeration Machinery Co., Ltd.
3.Special open type reservoir tank with stainless steel &ndash; rays to clean and maintain. 6.Liquid crystal display showing temperatures of outlet and inlet chill water-provides visualized and direct setting. 8.Industrial designed &ndash; elegant and economical with friendly human &ndash; machine connections. Zhangjiagang Ri Hong Machinery Co., Ltd.
2. Use widely in overseas markets,enjoying extremly high occupation rate of market and reputation. 5. Excellent specialization in thermolysis, splendid performance of cooled radiator. Economic cooling equipment, easy to install and operate, compact and easily movable. Our products have obtained ISO9001:2008 quality certification, the same year won the national industrial products production license. Later obtained the industrial refrigeration equipment production license. We have our own factory, and we have the ability of independent research and development products. Dongguan Huani Refrigeration Equipment Co., Ltd.
3.Fin & V shape design air cooled condenser with excellent heat transfer and rapid cooling. Q : 1. What is the Payment Terms9 A: T/T 30% in advance as deposit, 70% balance before shipment. Q: 2. What is the delivery time9 A: In general, delivery time is 15-30 days . How to Order 9 1.Pls tell us the Model ,Quantity ,which you need . 3.Pay the Deposit to us after you confirm the PI. 4.Goods will be shipping within 15days after we received your full payment . inside which there is a overload protector,high pressure abnormal protector,imported dry filter and swell valve for stable running and easy repairing and maintaince. 6.Multi function operation panel There are current monitor,compressor on-off switch,pump on-off switch,electric temperature controller,safety running alert light on the panel. 7. Our factory provide machine testing when customer come to our factory to see this machine. 4.Coated condenser fins to protect the aluminum condenser from corrosion. 5.Strong galvanised epoxy coated steel frame construction. 6.Improved component positioning for easy service access. 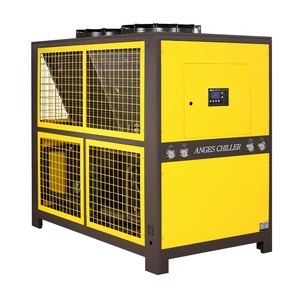 3.Anyda air cooled chiller use shell & tube heat exchanger Dry type & tube heat exchanger with inner grooved copper tube optimizes the cooling & heating efficiency. 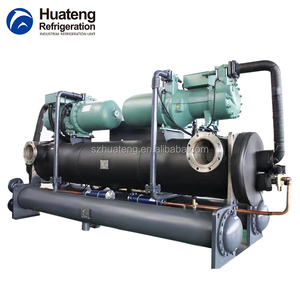 1.How does a chiller system work9 Chiller has two circulation,one is process water circulation,the other is refrigerant gas circulation. Water cooled chiller needs a separated cooling tower and has a higher efficiency,but less easier than air cooled. Shenzhen Coolingstyle Intelligent Technology Co., Ltd.
Zhejiang Xinzhou Refrigeration Technology Co., Ltd.
Also they are available in the cooling of equipments in order to maintain a normal temperature. 6. Special open thermal-protection stainless steel reservior tank, easy to clean and maintain. Gas is cooled when it is passing through the condenser and changed into liquid. Alibaba.com offers 31,027 industrial water chiller products. About 77% of these are industrial chiller, 1% are air conditioners, and 1% are other machinery & industry equipment. A wide variety of industrial water chiller options are available to you, such as free samples, paid samples. There are 30,885 industrial water chiller suppliers, mainly located in Asia. 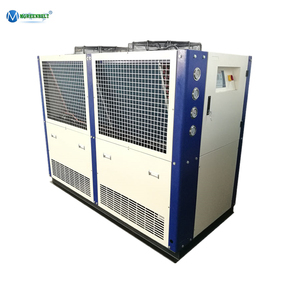 The top supplying countries are China (Mainland), United Arab Emirates, and Taiwan, which supply 98%, 1%, and 1% of industrial water chiller respectively. 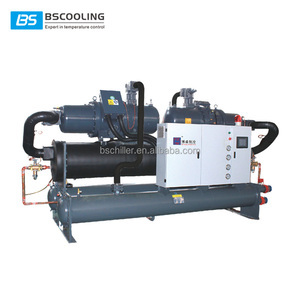 Industrial water chiller products are most popular in Domestic Market, Southeast Asia, and North America. You can ensure product safety by selecting from certified suppliers, including 14,388 with ISO9001, 5,687 with Other, and 1,791 with ISO14001 certification.